A place dedicated to lovers of good food, wine and truffles… Italy’s finest. 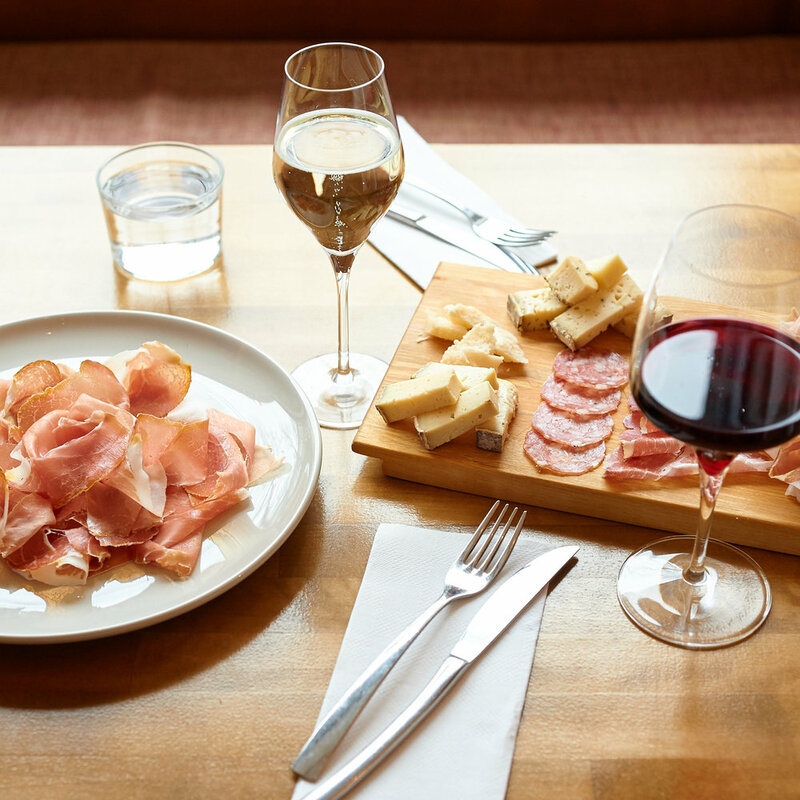 We offer a selection of fresh Italian charcuterie & cheeses, warm dishes from our pranzo, á la carte menu and seasonal specialities – like fresh truffles – accompanied by classic Italian wines. Our colazione takes places Saturdays. Thursday, Friday and Saturday afternoon we have aperitivo. After the sunset, La Bottega 13 becomes one of the cosiest Italian wine bars in town, right in the heart of Ullanlinna. We offer three types of take-away boxes that you can book in advance and collect on the way to your picnic on 1st of May. Info & on-line ordering here. Our wine list is composed of Italian sparkling wines (Franciacorta, Prosecco…), typical Piemontese wines (Barolo, Barbera, Barbaresco, Nebbiolo…) all produced by selected regional wine makers. Looking for inspiration? Pick something from our carefully chosen traditional Italian cooking ingredients: balsamic vinegar, extra virgin olive oil, pasta, etc… Of course, all of our freshly sliced charcuterie and unique cheeses are available as take away. La Bottega 13 – its atmosphere and team can be booked just for you. 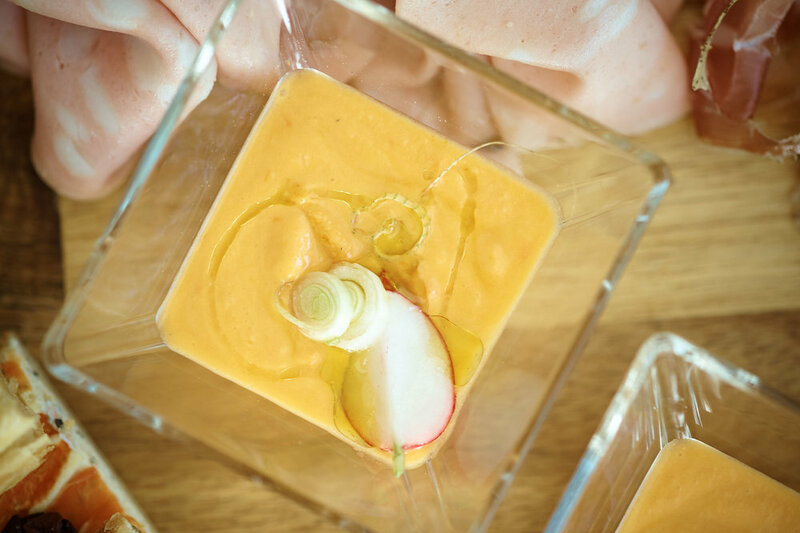 By using our tailor-made catering services, you will elevate your party into gastronomic experience. 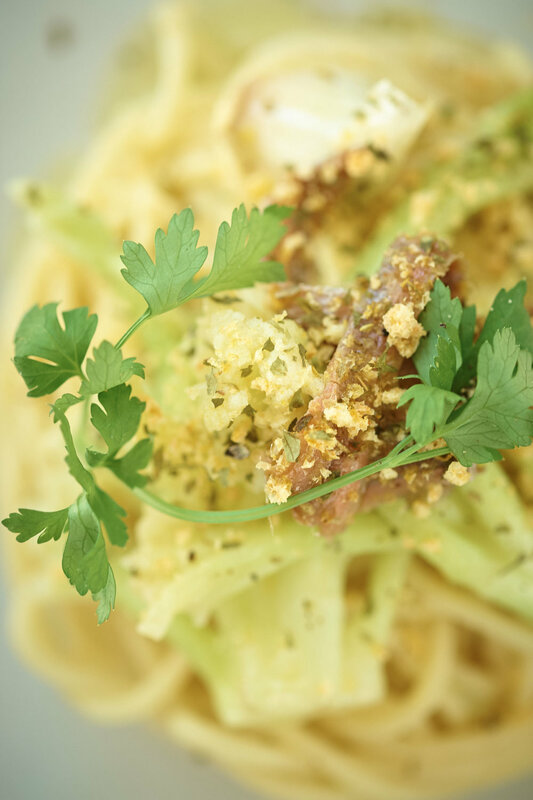 Simple dishes done well – using original Italian elements with cosmopolitan twist. From Tuesday till Friday we serve pranzo. Benvenuti! Join us every Thursday, Friday and Saturday foraperitivo! From 16:00 till 19:00 you can enjoy refreshing glass of Italian wine and delicate innovative amuse-bouche buffet conceived by our chefs. On Saturdays, from 11AM till 4PM we have colazione – antipasti buffet (e.g. : focaccia, cold cuts, cheese, vegetables, omelette and fresh salad, fruit juice, cake and coffee…). pre-order today & collect on Wednesday 1st of May in La Bottega 13. For this years’ Vappu we offer three types of take-away boxes that you can pre-order in advance and collect on 1st of May from our deli shop. (We are located in Ullanlinna located 10 min. by walk from Kaivopuisto/Ullanlinnanmäki – tram stop Kapteeninkatu, city bike station Kapteeninpuistikko). Price per person is 55 €. Reservations on 044 719 0300 or by email: reservation@labottega.fi. Dishes will be as well available à la carte. Degustation and lecture on wines by Monratibaldi - winery from the heart of the Langhe hills. Details to come. To celebrate this year's Easter we have designed spring themed four-course menù. It will be served on Friday and Saturday starting from 11AM, price per person is 50 €. Reservations on 044 719 0300 or by email: reservation@labottega.fi. Benvenuti! One of our favorite ingredients – Asparagus, is here! 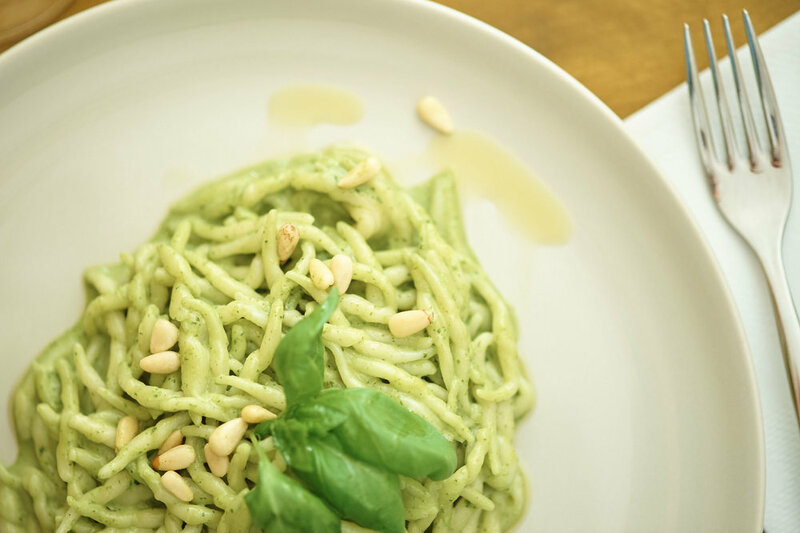 We invite you to taste its’ many faces paired with La Bottega’s classics. Asparagus dishes will be available individually or as a menu for 45€ per person. Menu will be served from 5 to 22 pm. Reservations on 044 719 0300 or by email on reservation@labottega.fi. To welcome the spring and greet passing truffle season we will be serving vintages (2006, 2008 and 2010) of Barolo DOCG Riserva "Bussia" from Livia Fontana/Castiglione Falletto. To celebrate the International Women's Day, we have prepared a special “Mimosa” menu. Please book your place in advance as reservation is required. Contact us for more info and reservation. We are opening a wheel of Parmigiano Regiano on Friday 4pm, special menu and à la carte dishes will be prepared for the event. Pieces of Parmigiano will be available for sale, Parmigiano menu will be available all the week. Contact us for more info or if you would like to book your Parmigiano piece. We invite you to taste these premium balsamic vinegars aged in wooden casks for 100/50 years. Apart of other surprises, we will be serving Kinara cheese from Piemonte. It’s time for white Alba truffles! This year our truffle events will be available at La Tartufata as well as at La Bottega 13. White Truffle dishes will be available à la carte between 20.11.-22.12. Reservation recommended. Besides à la carte dishes, you can also reserve your own truffle to be used on your dishes (daily truffle price will apply). Special dinner prepared from Aberdeen Angus organic beef produced by our partner Korpulan Tila from Ylöjärvi. Friday 19 and Saturday 20, starting at 17:00 and 20:00. Contact us for more info & reservation. Montaribaldi visiting Helsinki and Tampere, we will be preparing Montaribaldi BARBARESCO dinner – five course menu matched for Brut Millesimato, Arneis, Nebbiolo, Barbaresco (Sori Montaribaldi) and Birbet. Contact us for more info & reservation. We organize tasting & dinner events all around the year – to stay updated, please join our mailing list. Thank you, your address will be added to out mailing list. Thanks for your message - we will get back to as soon as possible.